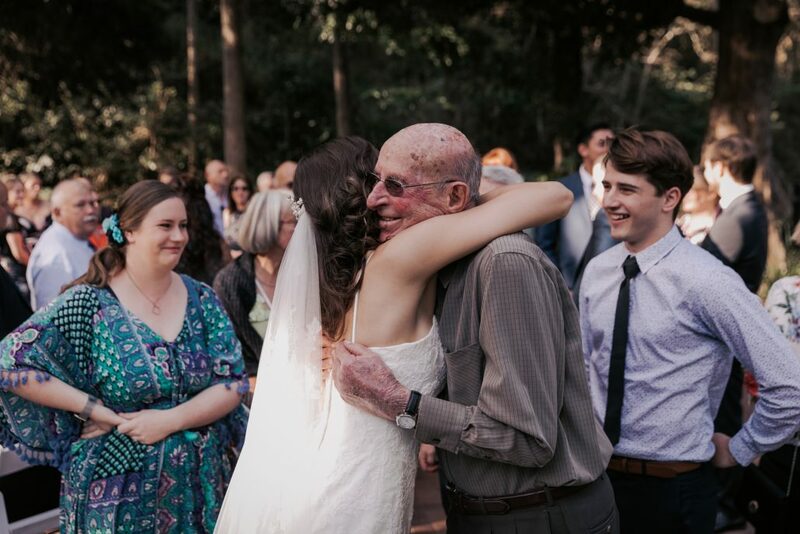 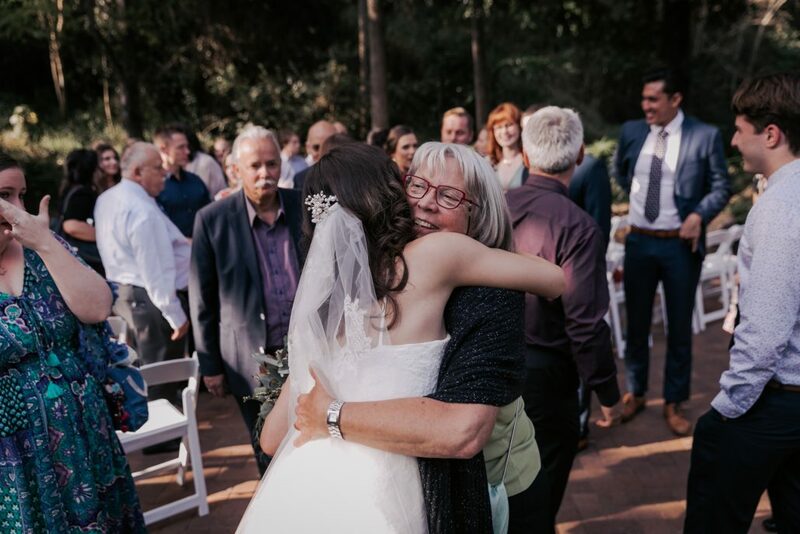 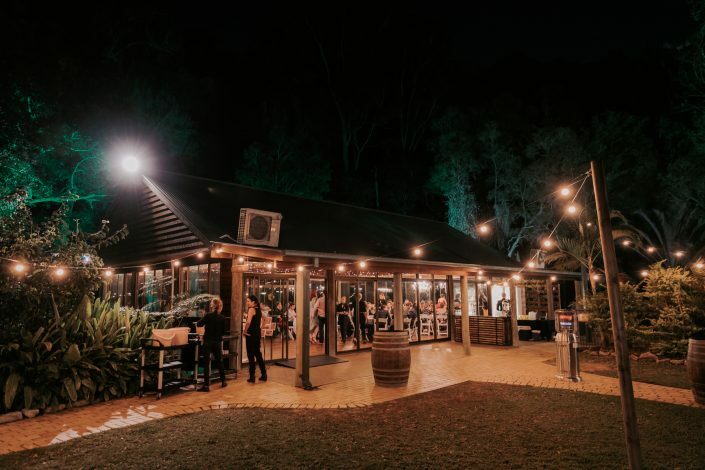 What an amazing wedding venue Bundaleer Rainforest Gardens is. 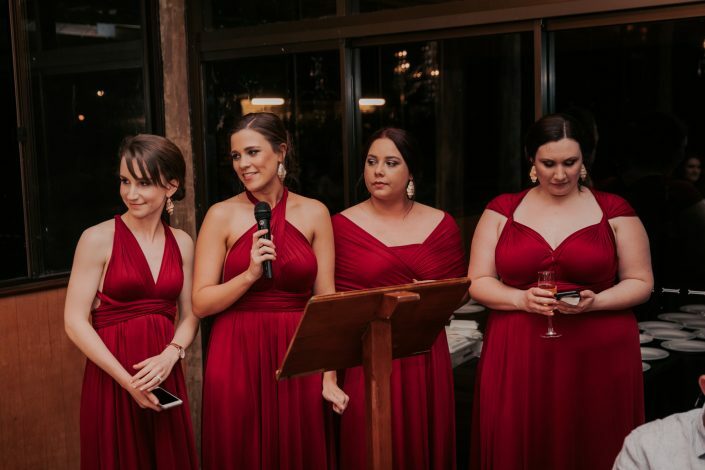 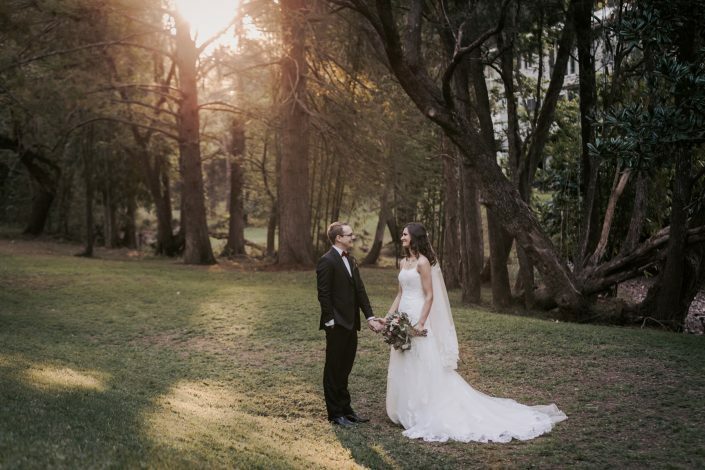 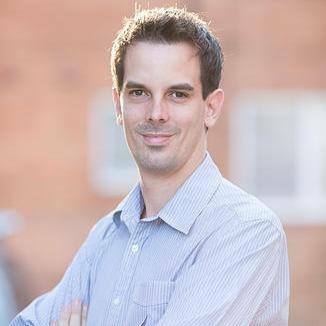 I am constantly impressed by the high quality of wedding venues that Brisbane and surrounding areas has to offer. 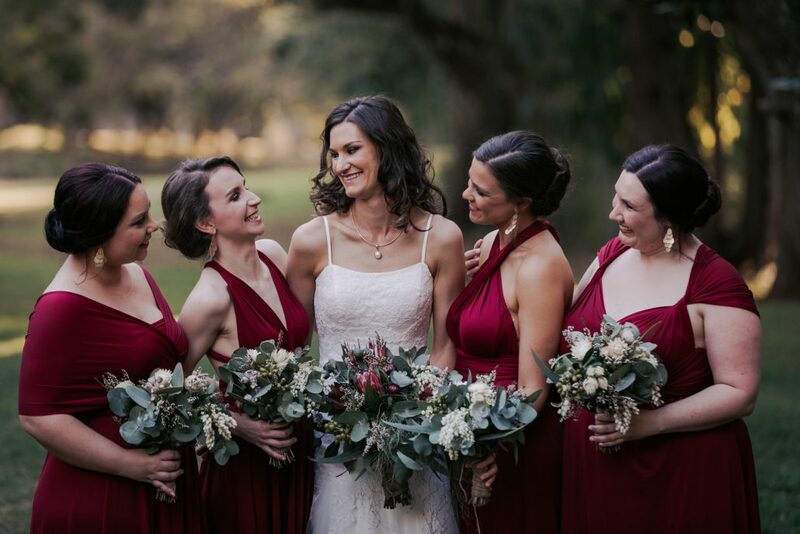 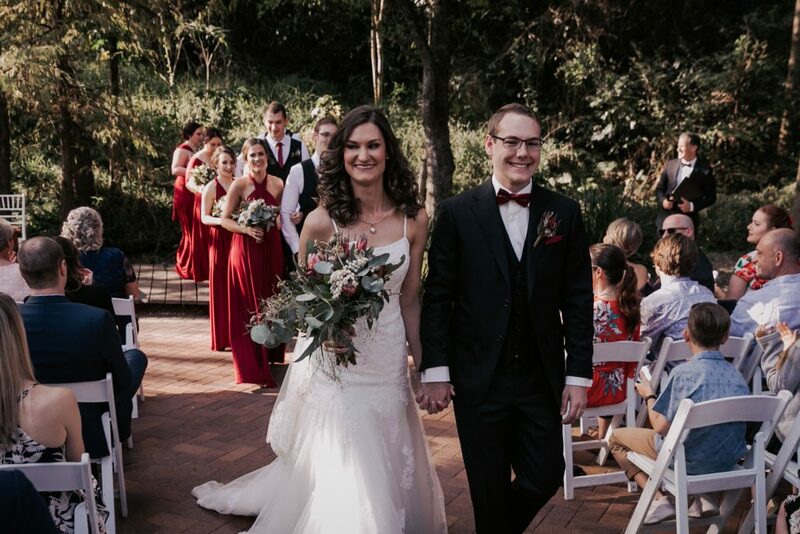 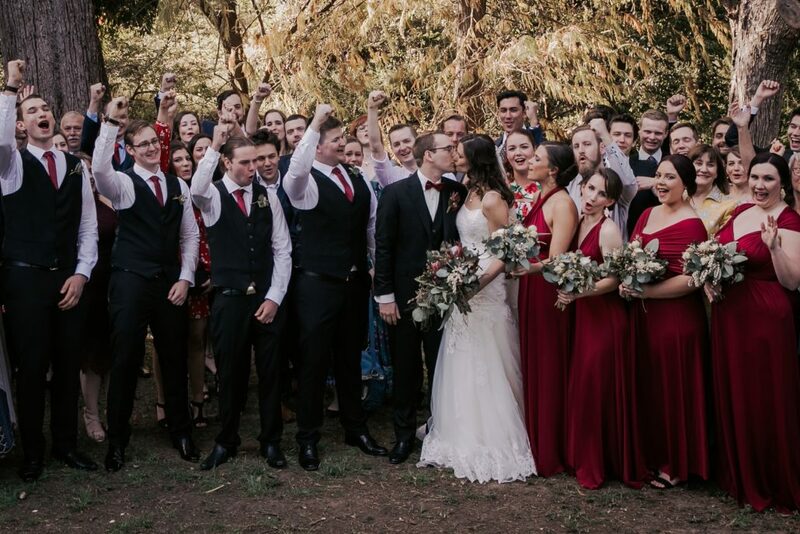 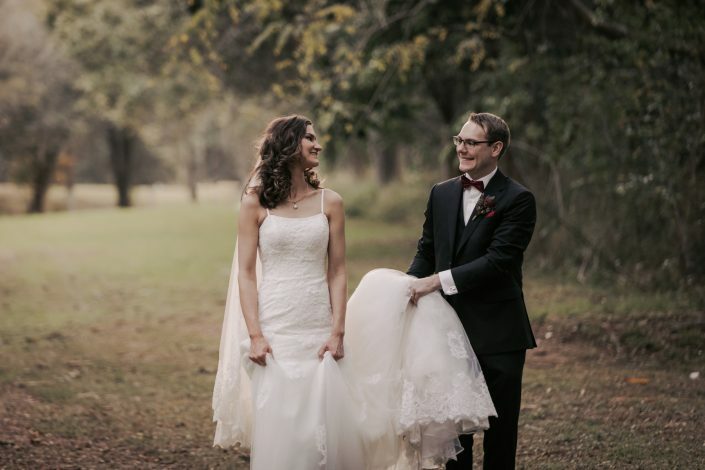 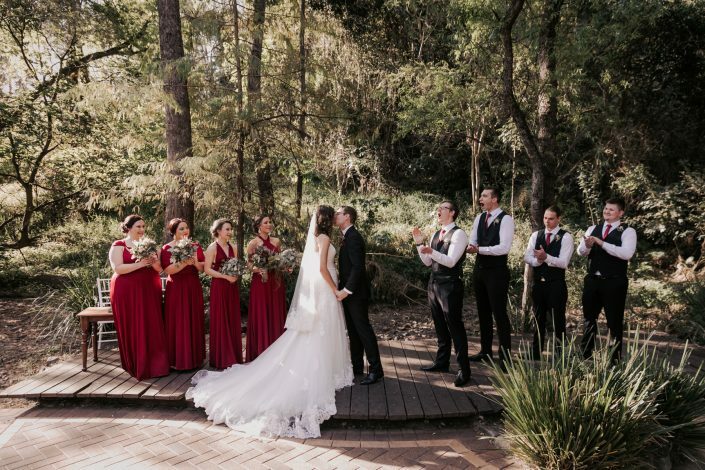 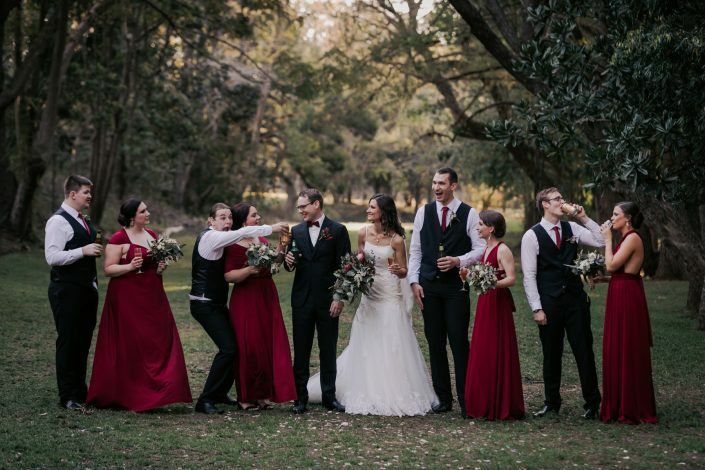 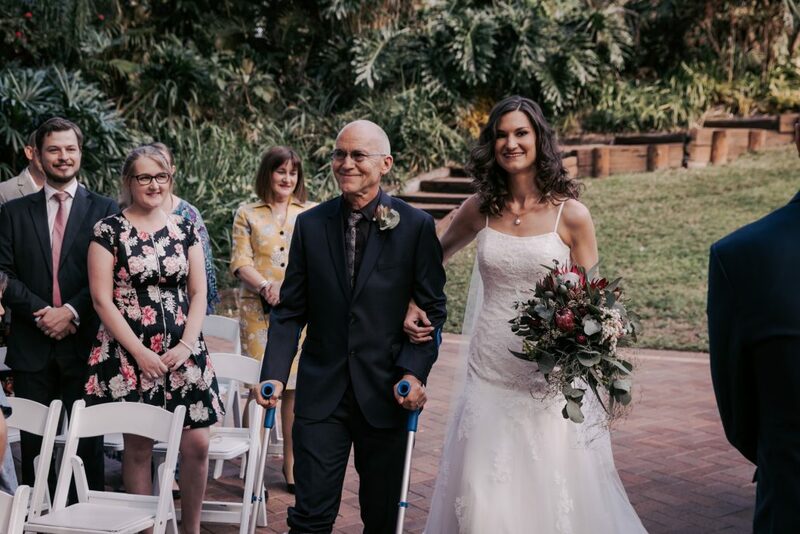 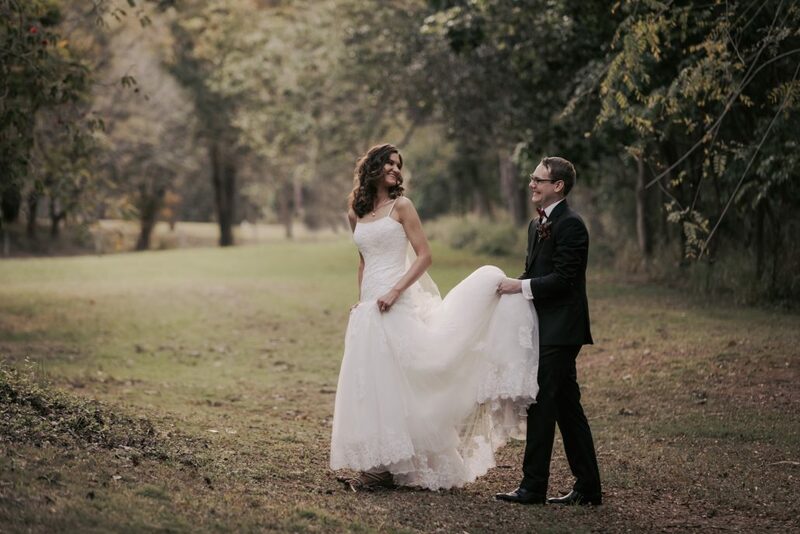 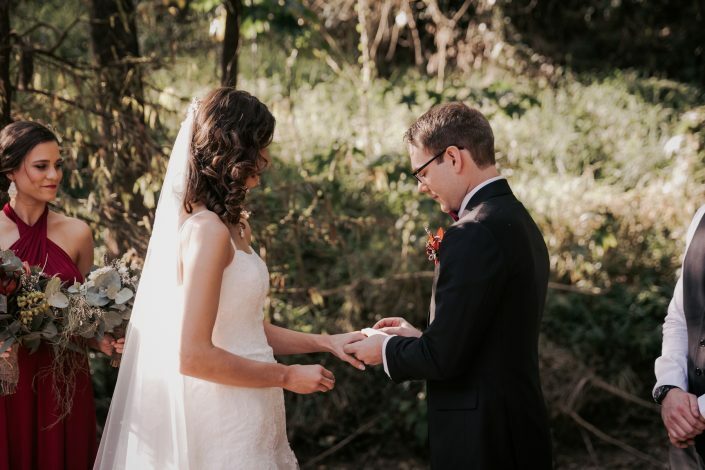 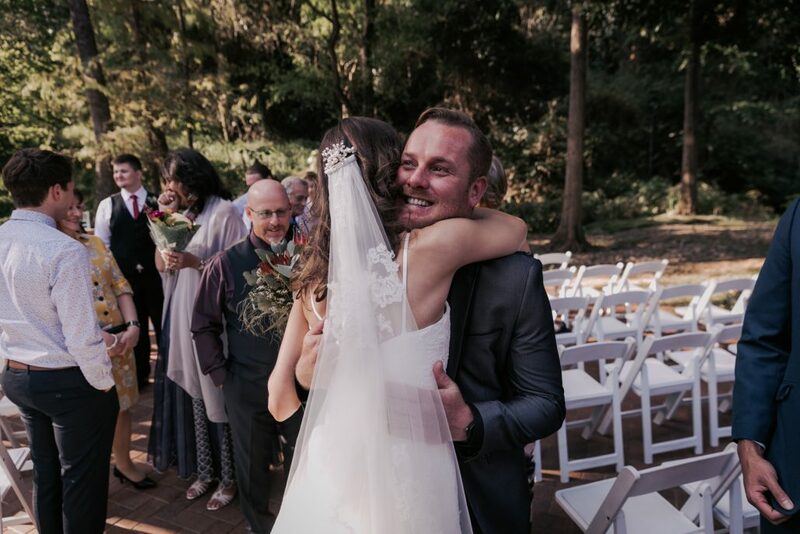 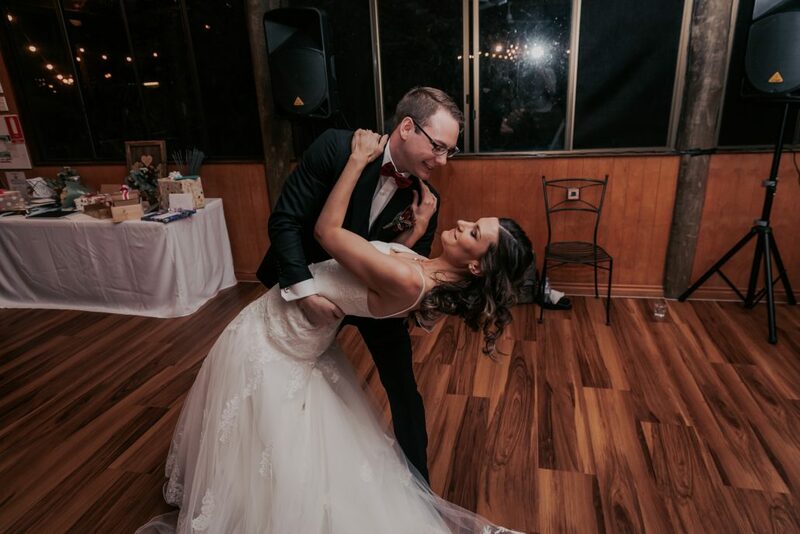 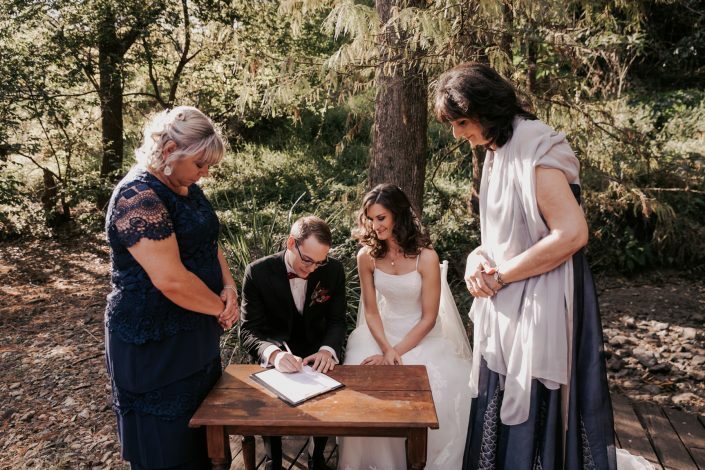 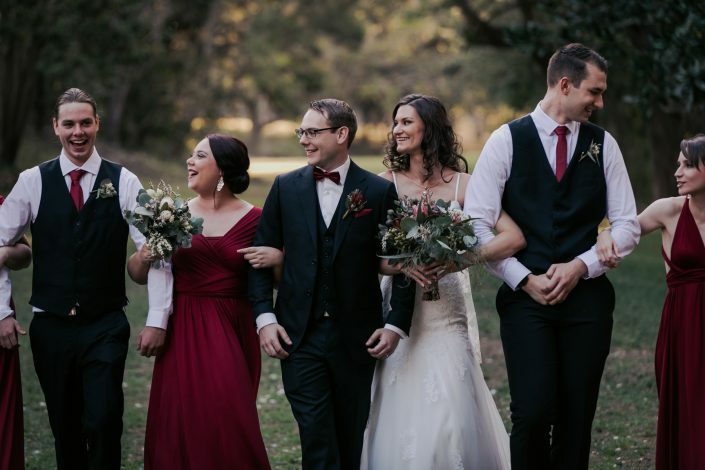 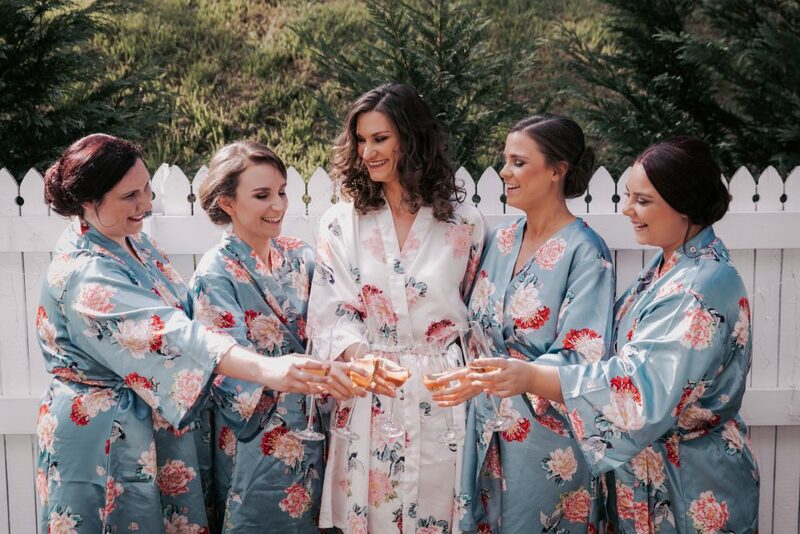 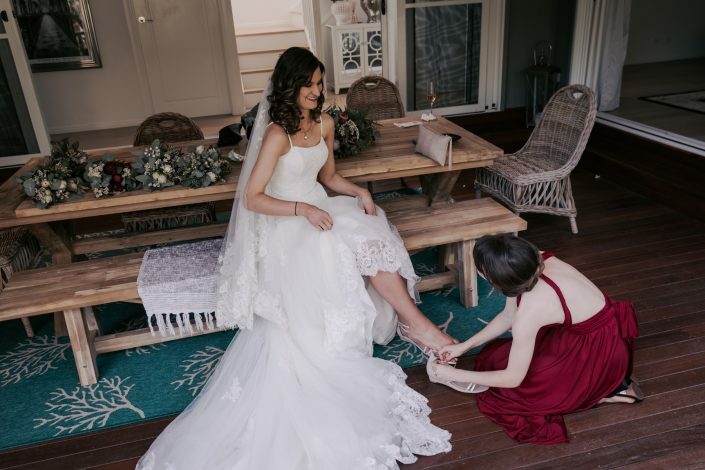 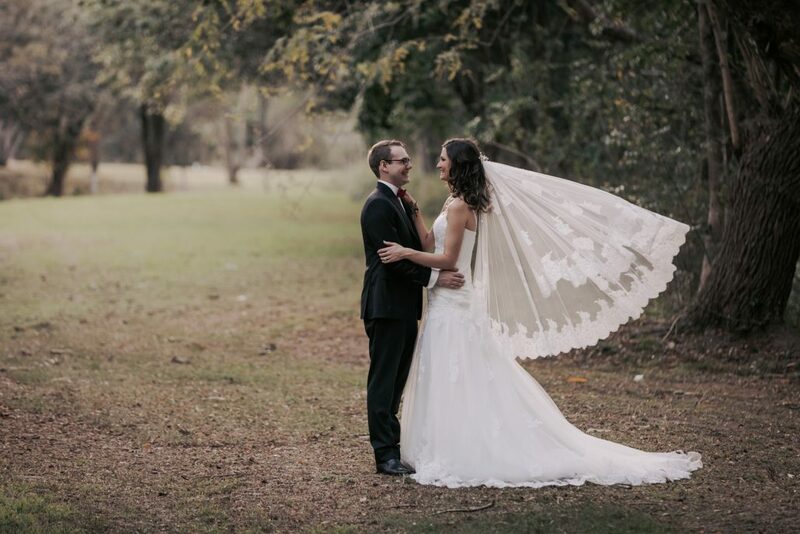 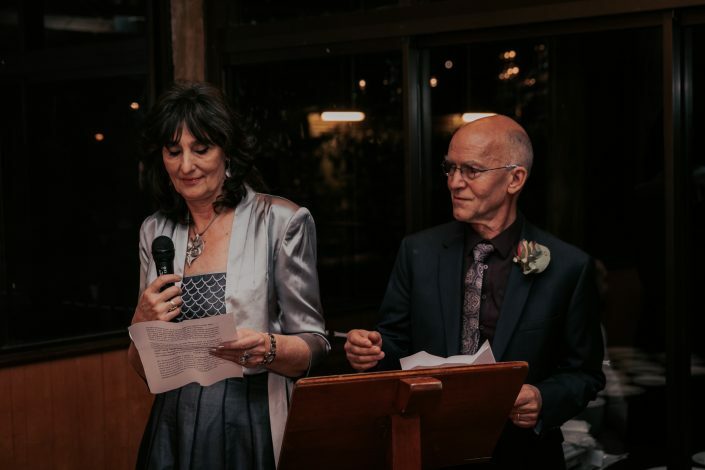 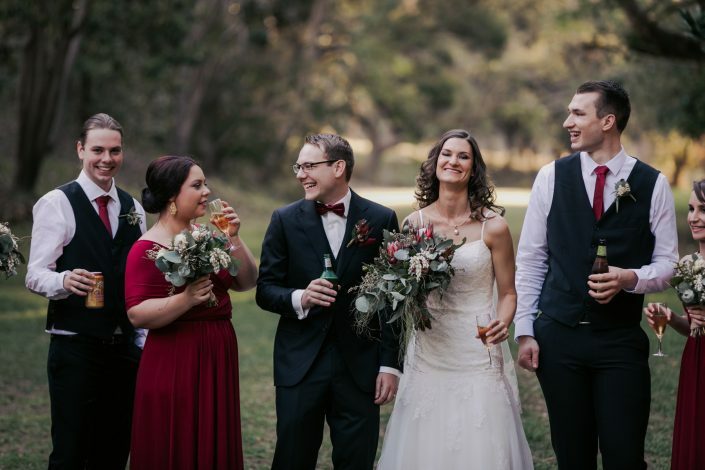 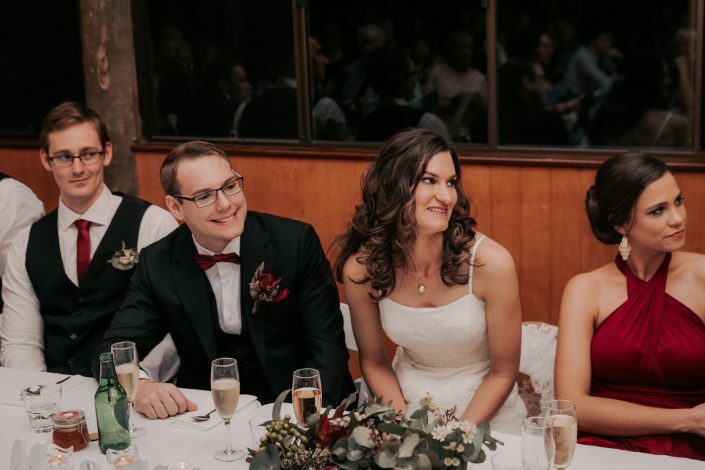 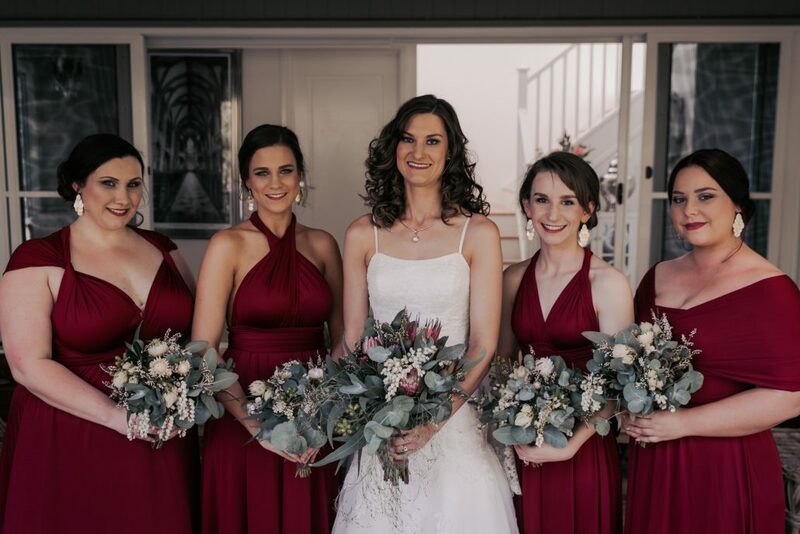 Fiona and Trent were married at Bundaleer in September of 2018. 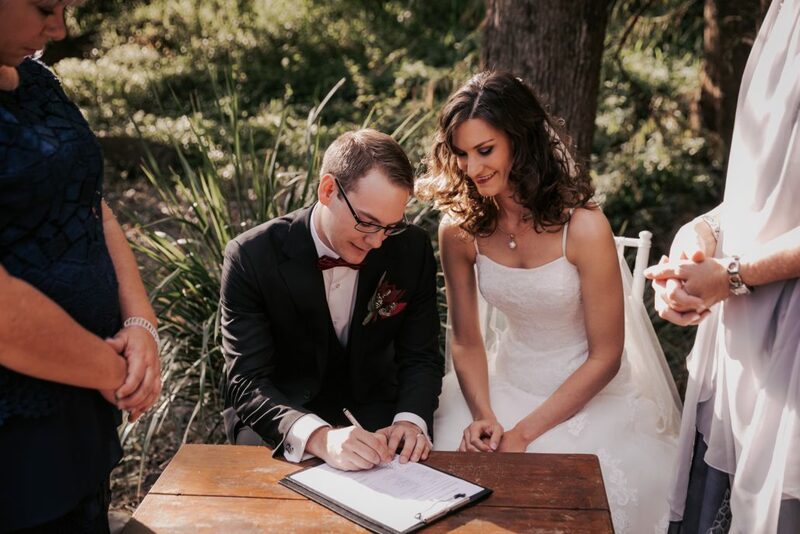 I then scooted over to ceremony which was literally a 2 minute walk. 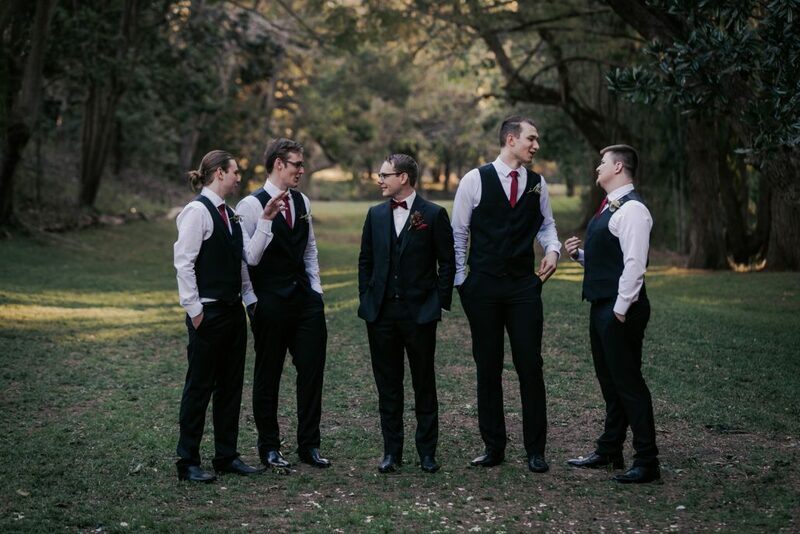 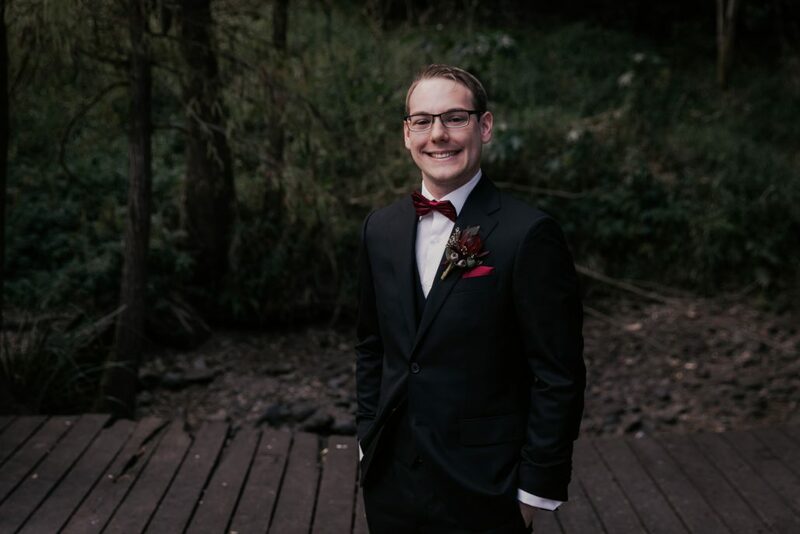 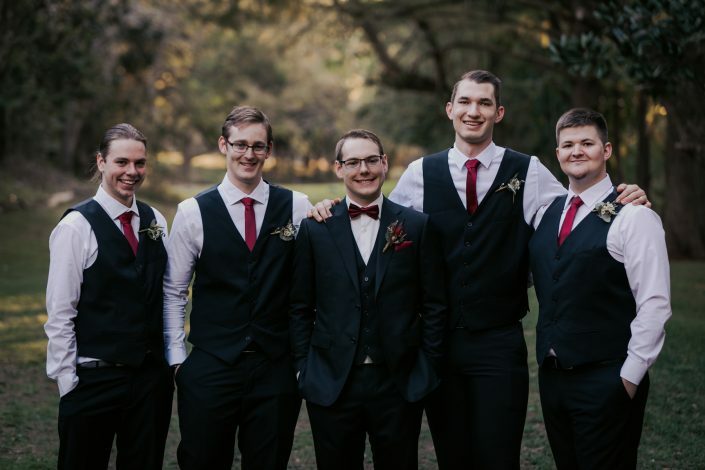 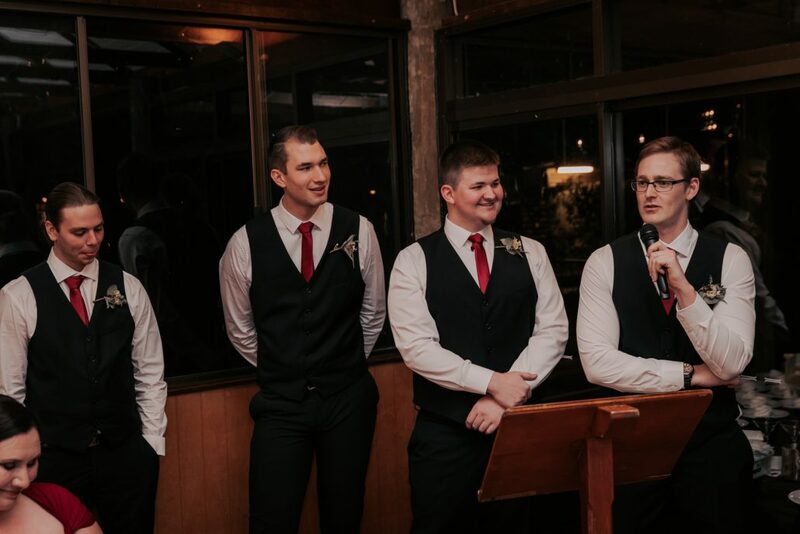 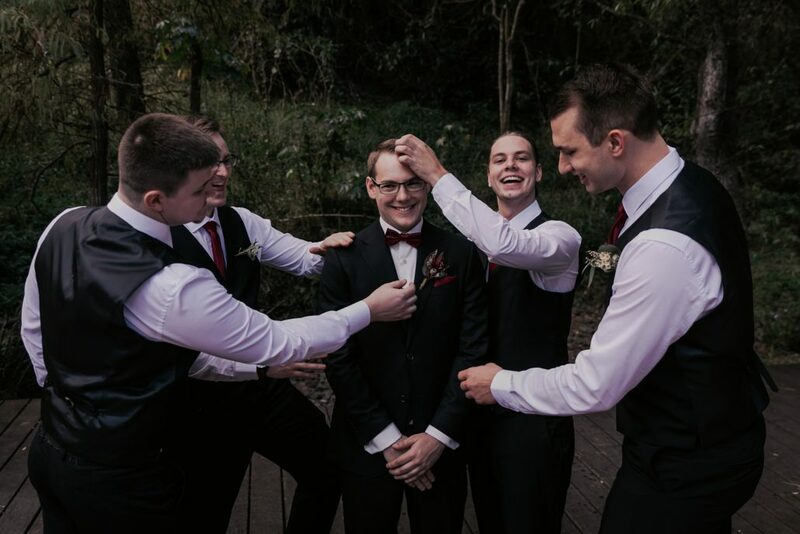 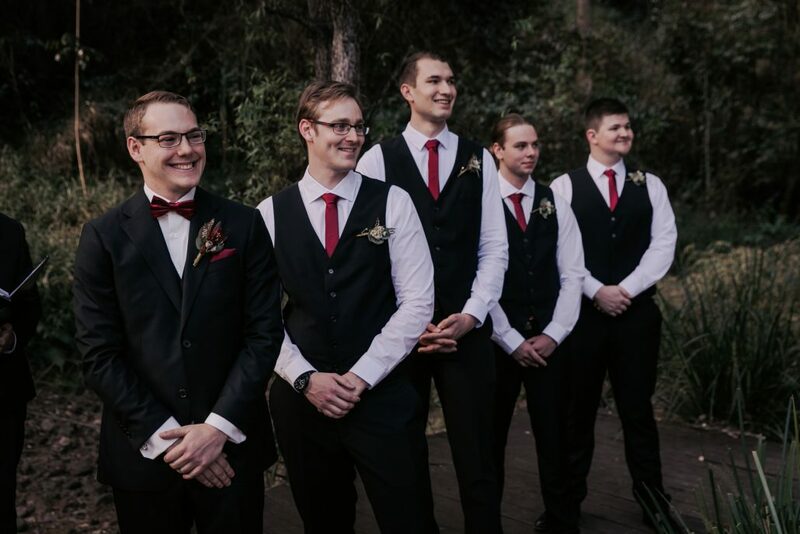 I got the standing photos of Trent and the groomsmen before Fiona arrived. 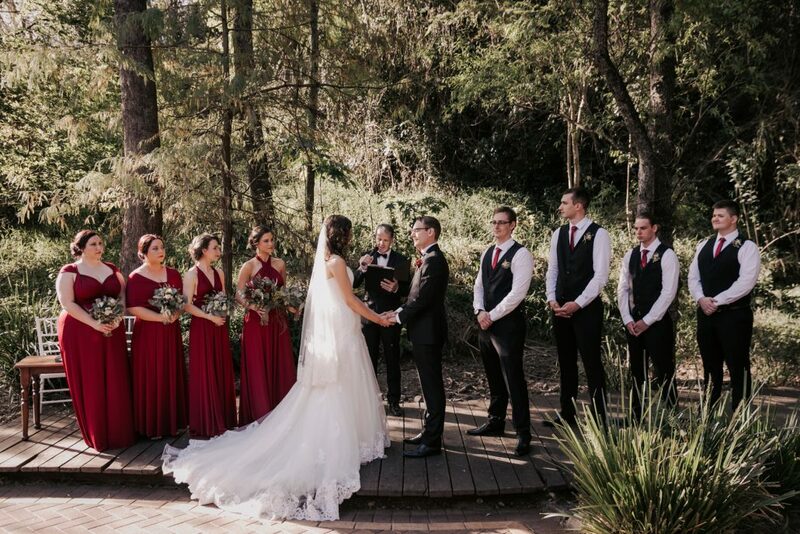 We had excellent light throughout the ceremony as the wedding was conducted at 3:30pm and the sun was setting behind the bushland. 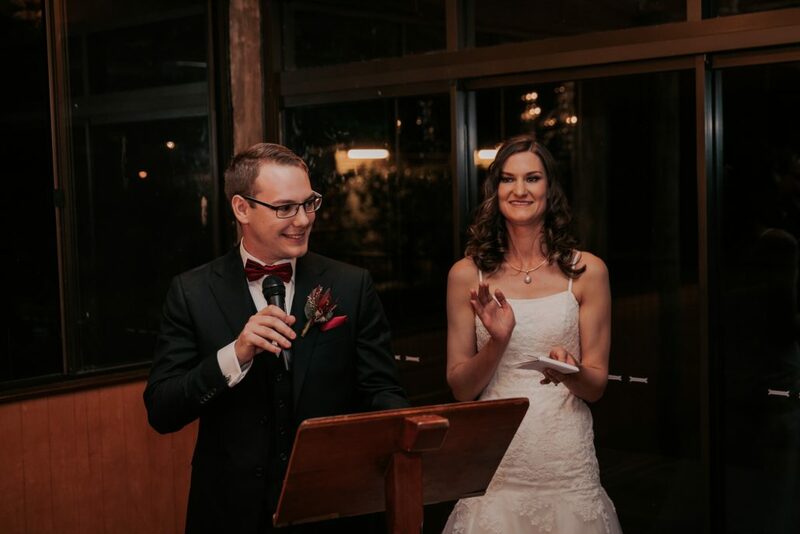 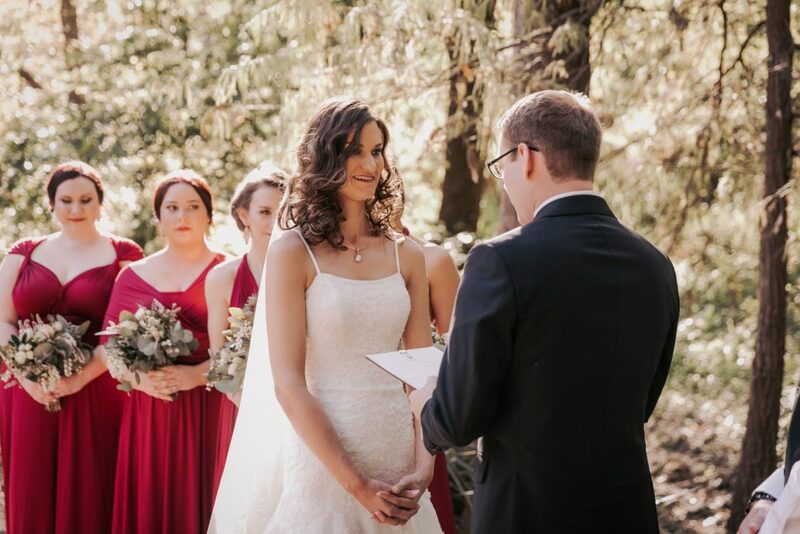 The ceremony was conducted by Jamie of Brisbane City Celebrants who did an amazing job. As we had plenty of time, I allowed Fiona and Trent to talk with their guests after being announced as husband and wife. If time permits, I always like to let this happen as I don’t want to disrupt the natural flow of the wedding. 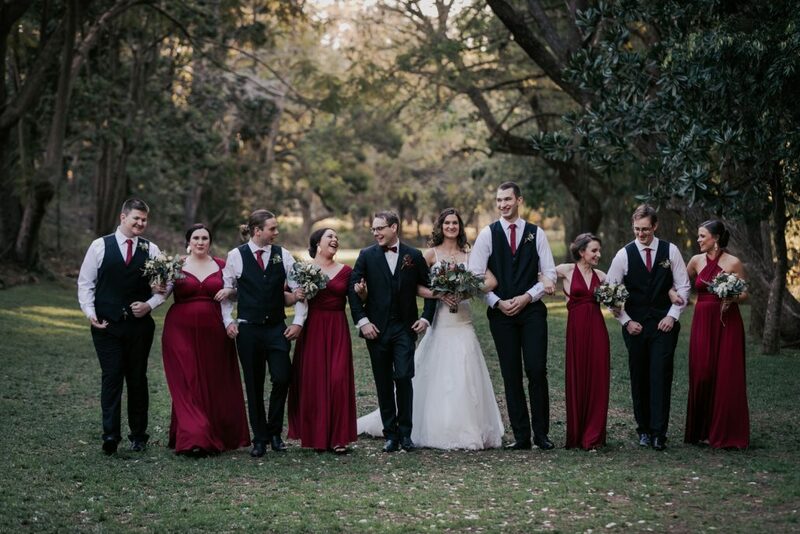 After around 15 minutes, I then organised group and family shots and then got stuck into the photos of the bridal party and Fiona and Trent. I had a great space to work with as you can see from the photos below. 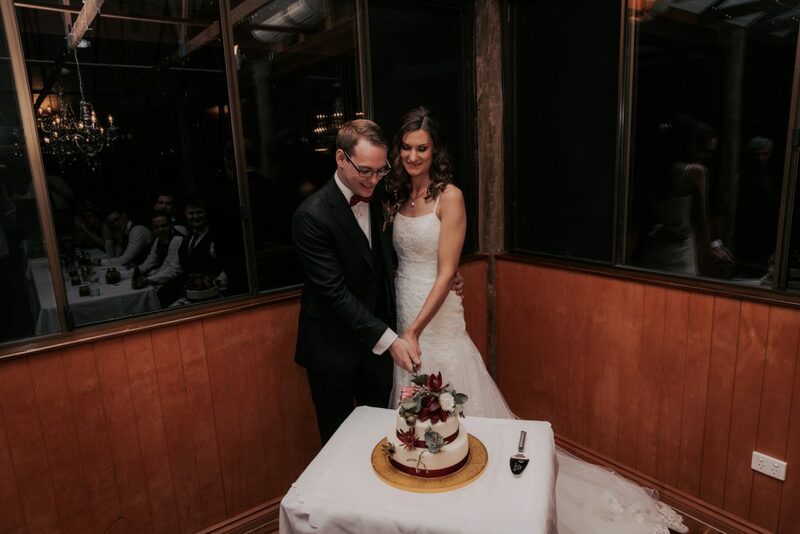 I left at 9pm which enabled enough time to capture the speeches, cutting of the cake and the first dance. Everybody else partied on into the night. 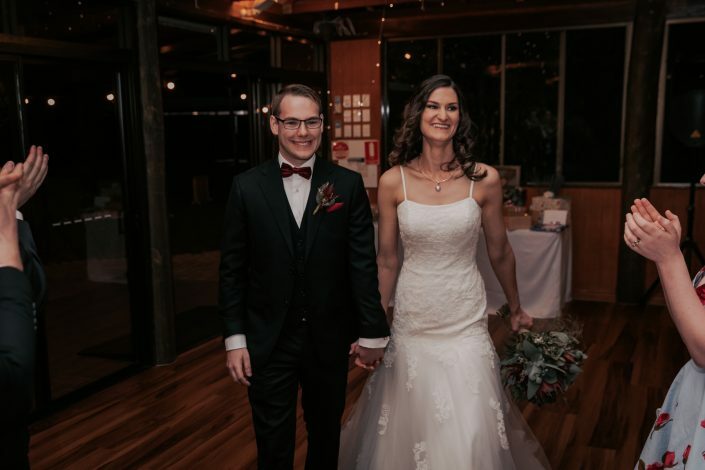 I am so happy to have met Fiona and Trent and I wish them all the best in the future as husband and wife!